It it hot and humid where you are? 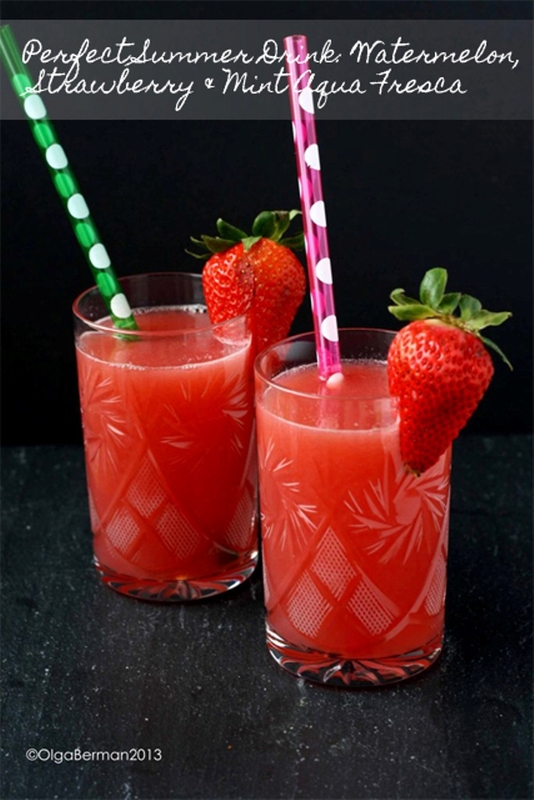 Or are you just looking for a fun non alcoholic summer drink? 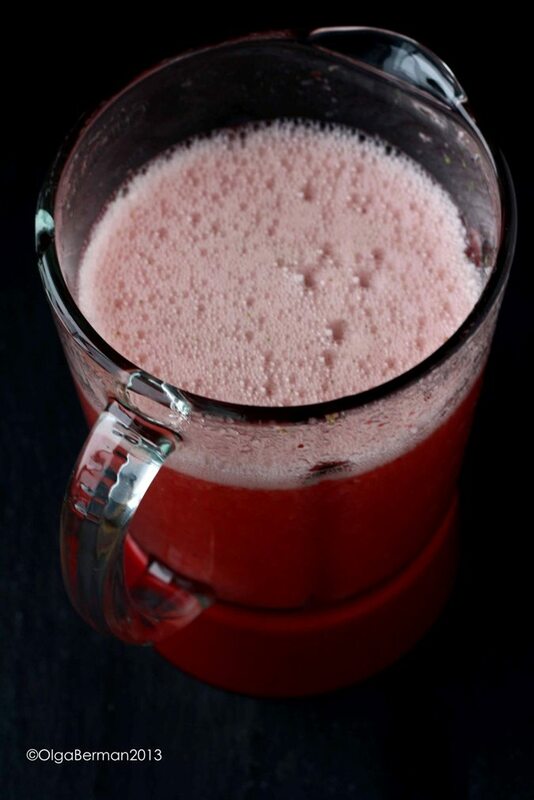 Either way, you are not going to regret making this Watermelon, Strawberry & Mint Aqua Fresca. 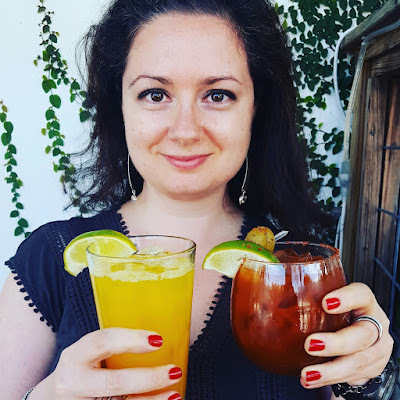 I made this drink after purchasing Marcella Kriebel's Comida Latina. 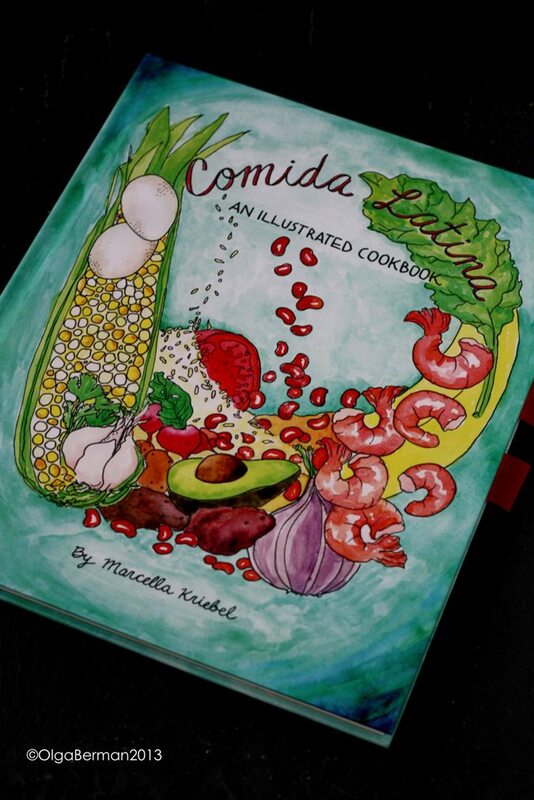 The book is nothing like I've ever seen before: each recipe is illustrated and there are pages filled with helpful tips, definitions, and even Spanish names for everyday cookware equipment. 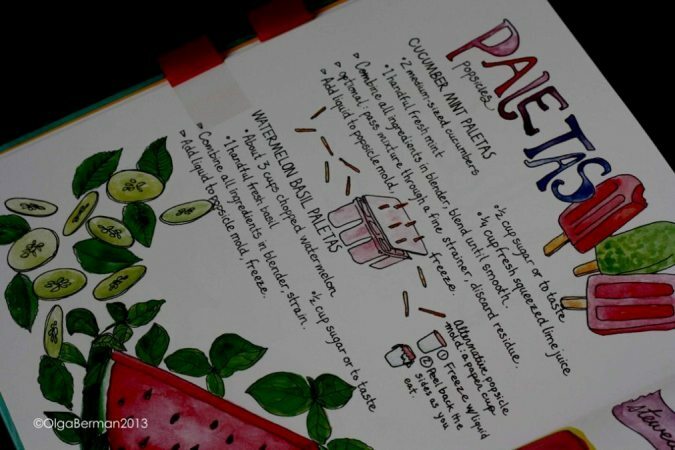 Two of the recipes in the book that looked especially refreshing were the Aqua Fresca and the Paletas. 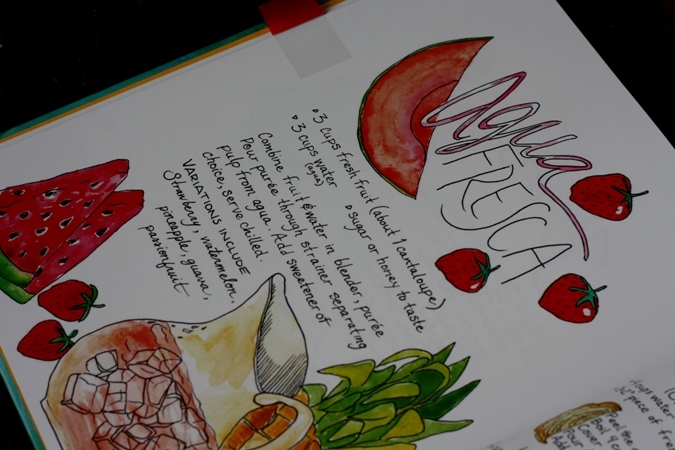 I decided to combine the flavors from these two recipes to make my own Aqua Fresca. 1. Add everything to a blender and puree till perfectly smooth. 2. 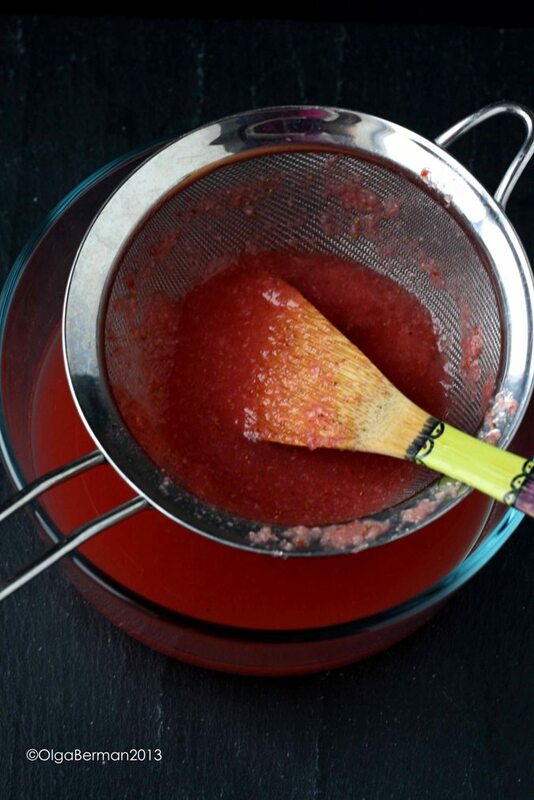 Strain the mixture through a fine sieve and refrigerate the clear liquid for at least 30 minutes. 3. 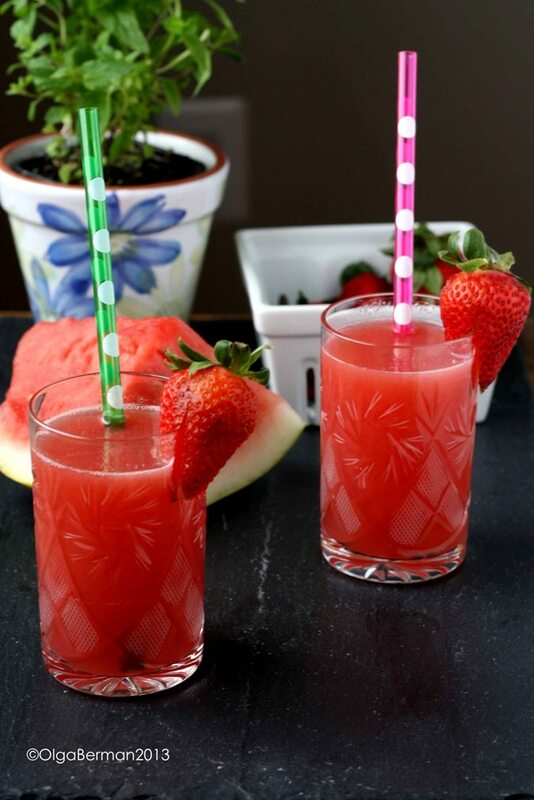 Pour the Watermelon, Strawberry & Mint Aqua Fresca into glasses, add a straw and a strawberry as fun decorations and drink!! 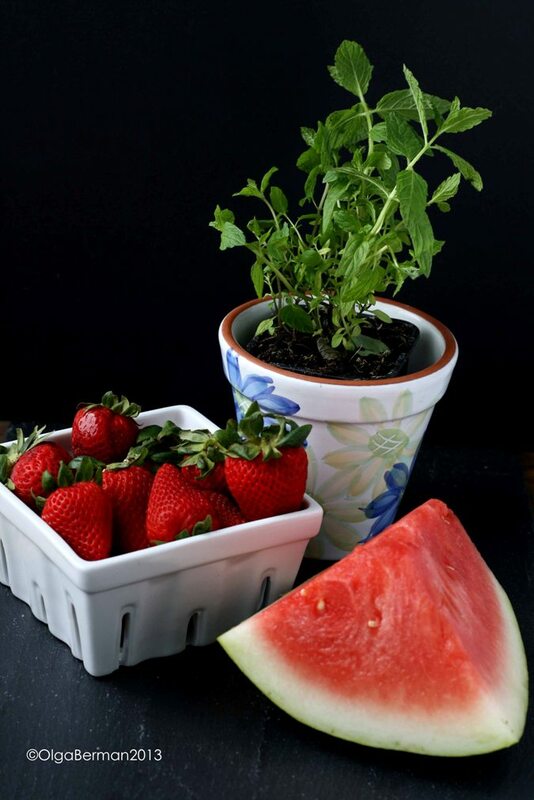 I'm looking forward to experimenting with different fruit combinations to make other varieties of aqua fresca! 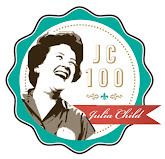 1) What's the latest cookbook you've purchased? 2) What's your favorite flavor of aqua fresca? 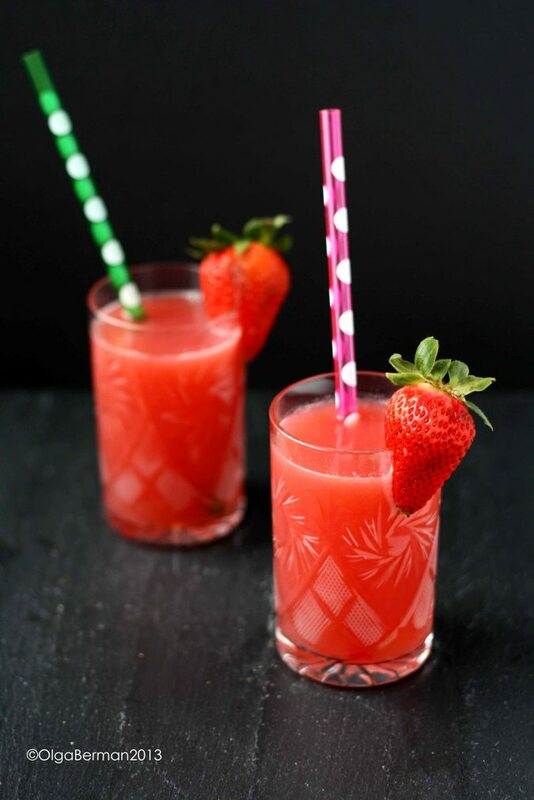 This looks so yummy and refreshing. Would love for you to share them with us at foodieportal.com. Over at foodieportal.com we are not photography expert snobs, we are just foodies, so pretty much all your pictures will get accepted. I love the big photos. Next: use a tripod. I loved this class. What an amazng book. I need to write a post too!